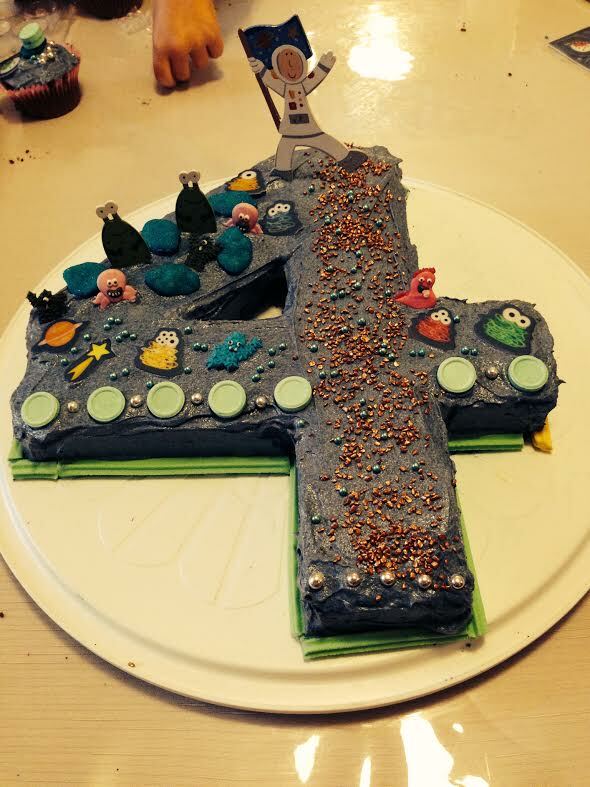 Four years ago, I launched my blog (oh, the launch party – such fanfare!) with my first Daring Bakers’ Challenge. It was delayed due to the birth of my second child, Mr R. I’m not entirely sure how it has happened, but the years have passed incredibly quickly and my cheeky, funny, affectionate boy is about to turn 4. 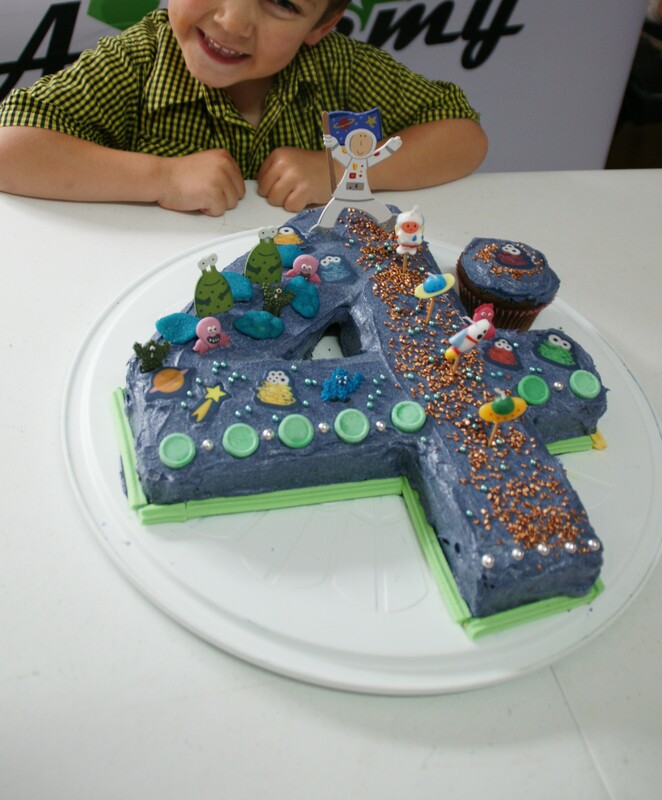 I thought he would choose a spaceship or a rocket, since he is always telling me he is going to be an astronaut (he has promised to visit me regularly), but he ended up choosing a cake in the shape of the number 4. 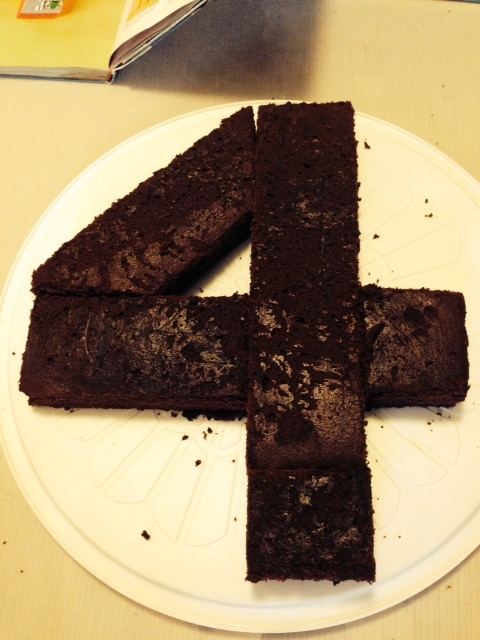 So I combined the two concepts and made him a crazy space number 4. Couldn’t love you more, funny boy. And big thanks to my very clever mother in law for sourcing the fantastic decorations! !